1. When is Your Next Promo? We regularly run promotions throughout the year, usually once a quarter. We will advertise our promotions on our homepage and via our eClub. You can subscribe at the bottom of the page to know exactly when our next promotion will be. Thank you for your interest in becoming a Vitality Depot client. Click on the Log In icon on the top right and then create an account in the drop-down options. From there, you will need to fill in your details and submit them. We sell exclusively to healthcare professionals. The public is never allowed to purchase or have access to discounted pricing. In order for Vitality Depot to ensure this exclusivity, members need to be verified. When you hit the & Create My Account & button below, we will receive your request and then confirm your eligibility to purchase and receive discounted pricing from Vitality Depot. We thank you in advance for your patience and understanding of this requirement. 3. How Do I Earn Rewards Points? Points are earned on every dollar you spend on vitalitydepot.ca. We will periodically offer bonus points on certain items as part of promotions throughout the year. After an order has been processed, points will be added to your account although this may take 24 to 72 hours. Points can also be earned by referring another customer to vitalitydepot.ca. We can provide a unique code to members to refer a friend. Successful referrals will earn you bonus points. 4. How Do I Redeem My Rewards Points? You can access our rewards program at anytime from the Rewards tab at the top of the page. With this rewards popup, you can see the points you have earned, your history of redemption and the rewards available to redeem. If you have enough points, rewards will become available to you and all you have to do is click & Redeem. 5. What is Quick List? Quick List is a handy shopping list you can create with your favourite or frequently ordered items. This way, when you need to put in an order, you won't have to waste time looking up the products you need. Instead, find your Quick List in the top right of the site anytime or listed under "My Account"; and you will be able to add everything you need to your cart quickly and easily. For more details visit our How to Use Quick List page. 6. How Do I Add Products to My Quick List? Adding items to your Quick List is easy. When you find a product you would like to save for easy access later, just click the "Add to Quick List" button located next to the "Add to Cart" button on every product page. If you have created multiple Quick List lists, you will also be given a choice on the product page as to which list you would like to add the product to. Be sure to select which list before clicking "Add to Quick List." For more details visit our How to Use Quick List page. 7. How Do I Manage My Quick List? You can manage your Quick List via the "My Account" button on the top right of the page. Under Quick List, you can add new, delete, or edit the titles of your Quick Lists as well as view the contents of any of your Quick Lists. Once in a Quick List, you can easily add the products you wish to your cart from one easy page. For more details visit our How to Use Quick List page. 8. How Can I View My Orders? You can access your order history via the "My Account" button on the top right of the page. Under "My Account," you will be able to check your order status, past orders, Quick List, and more. Keep in mind, however, that only orders placed online via vitalitydepot.ca will be viewable here. If you have any questions or concerns about orders placed offline, please contact us at 1.800.461.0100. Currently Vitalitydepot.ca has been optimized for Chrome and Firefox. Please consider using one of theses browsers for the optimal experience. 1. May I Pick Up My Order? What Are Your In-Store Pickup Hours? Please note we no longer offer pick up for online orders. For orders by phone, you may request a pick however orders are processed by our warehouse in the order they are received and your order may not be processed immediately. You will be notified by email when your order is ready. Our hours for pick up are 9am - 4pm, if you receive your confirmation of "shipment" for pickup within those hours you may pick your order up. Shipping is offered at a flat rate of $12.95 with free shipping offered for orders over $250. 2. Is There Free Shipping? We offer flat rate shipping of $12.95 and free shipping on orders over $250, excluding taxes. There some some exclusions for oversized items and the Territories. 3. What is Your Method of Shipping? 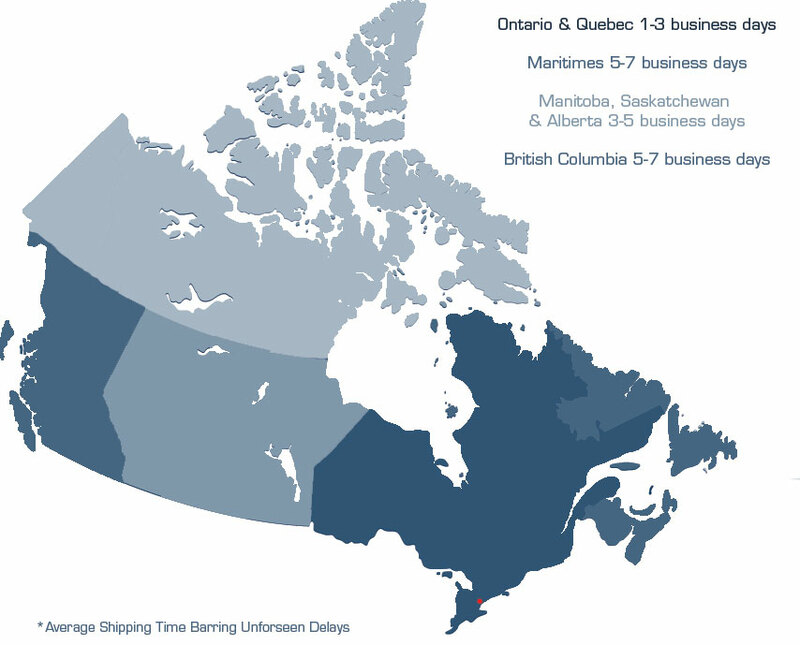 We ship via Canpar or Canada Post. While we make every attempt to process orders in a timely fashion, there may be unforeseen supplier delays. Vitality Dept reserves the right to hold an order for up to 5 business days to ship an order complete. 5. What is Your Warranty / Return Policy? Please see our return policy for details about the majority of our products. Some items may have unique policies regarding their return which will be specified on their product page. 6. How Can I Initialize a Return? If there is a problem with your product and you need to return it, you can begin by filling out our Return Authorization form with the information we need to begin processing your return. Check the "Shipping & Returns" link in the menu above for more details. 6. Do You Offer Incentives for New Clinic Openings? If you are opening a new clinic, we are happy to speak to you about what your unique needs may be. Please take a look at our New Clinic page to get started. 7. What Kind of Event Support Do You Offer? Vitality Depot is proud to support community events across Canada. If you or your clinic are involved in an event and are interested in getting support from Vitality Depot, take a look at our Event Support page to contact us.